XACTIV Fellows are recognized experts, senior technologists, professors, or were previously senior technical managers within major corporations who are called on to support XACTIV programs requiring in-depth specialized knowledge and experience. Lawrence K. Agbezuge, Sc.D. has over 30 years industrial and over 7 years academic experience. At Exxon Production Research, he spent 5 years performing drilling riser simulations and analyses, and the testing/qualification of buoyancy systems for offshore drilling. At Scott Paper Company, he spent 2 years modeling the Yankee dryer in order to tweak the dryer’s operational parameters for increased production. At Xerox, he spent most of his 24 years modeling and studying ink-paper deformation during ink jet printing. He also created software that was utilized for calibrating scanners to faithfully reproduce original colors. He holds a patent on ink flow regulation during ink jet printing. While he was involved with ink jet technology, he was an invited lecturer on ink-substrate interactions at IS&T international conferences. Dr. Agbezuge obtained his Sc.D. in Solid Mechanics from Columbia University in 1972. He was a student of Dr. H. Deresiewicz, who had been a student of Dr. R. Mindlin. After leaving Xerox, he was Associate Visiting Professor at the Rochester Institute of Technology for 5 years. He taught an undergraduate course in numerical methods, and three graduate courses in finite elements and solid mechanics. He has several publications that have been cited in journals, handbooks and for biomechanics research. Ken Altfather has a 32-year history of progressive engineering and project management responsibility. He holds a master’s degree in optics from the University of Rochester and has 9 patents in the fields of optics, mechanics, and thermal inkjet. He led the subsystem design teams for the optical scanning systems in a range of Xerox copiers and was directly responsible for Xerox’s first precision scanning optical system. He managed the technology integration, design, and development of inkjet components for a wide range of desktop inkjet printers. Kiri Amarakoon completed thirty one years with Xerox Corporation in UK, Japan and USA in product development, developing architecture, and generating concepts for next generation products. Provided systems engineering support and analysis for various systems and subsystems within marking engines, document handling and finishing options. Provided external technology analysis for acquisition for new programs and making recommendations to patent committees and review of Intellectual Property for protection. Participated in market research to enable development of new product concepts. Awarded over 20 US and European Patents in Xerography Document Handling, Finishing Control systems etc., some still pending. Leonard Carreira has 40 years’ experience in research, engineering and manufacturing of consumables for non-impact printing systems. His expertise is in the development and characterization of imaging materials to achieve function and print quality requirements of complex imaging systems such as ink jet. He has extensive knowledge of continuous ink jet, piezo drop-on-demand, thermal IJ and MEMS piston drop ejectors. While at Xerox he developed and taught an intensive course in Ink Jet Technology for in-house training of R&D personnel. Mr. Carreira holds 40 US Patents on imaging methods and materials including the primary patent on color photo-electrophoresis imaging. He has presented several papers on ink jet technology at international non-impact printing conferences sponsored by IS&T. His area of special interest is the interaction of ink and media and its influence on print quality. Denis Cormier is the Earl W. Brinkman Professor of Advanced Machine Tools at the Rochester Institute of Technology (RIT). His teaching and research interests focus on additive and direct-write printing technologies for synthesis of novel materials and geometric structures. Prior to joining RIT in 2009, he was a professor at North Carolina State University for 15 years. He is a founding member of ASTM’s F-42 additive manufacturing standards group and is co-chair of the additive process and material standards sub-committee. He received SME’s Outstanding Young Manufacturing Engineering award in 2003 and serves on SME’s RTAM steering committee. Dr. Charles DeBoer was a researcher and developer of a long list of digital printing related technologies and products while at the Eastman Kodak Research Labs in Rochester, NY. His long list of accomplishments includes the development and commercialization of laser thermal color proofing and laser direct write film. He also contributed to the development of laser thermal litho-plates. Dr. DeBoer also developed instant blue-field slides and his work doubled the sharpness of instant color slides. Charles also worked in the areas of X-Ray film, photopolymers, and synthetic lubricants. Dr. DeBoer graduated from Iowa State with a BS in organic chemistry and from Cal Tech with a Ph.D. in organic photochemistry. He completed his post-doctoral research at Columbia University and is the holder of 113 US patents. Ralph Faull is recognized as a mentor and educator of robust engineering and quality engineering for the electro-photographic industry. His 35 years of industrial experience includes extensive systems engineering, project management with proficiency in electro-photographic subsystems including corona chargers, developer modules, cleaners, fusers, and faster input/output devices. Mr. Faull is a certified Taguchi Master and holder of 11 patents in electro-photography. Dr. Robert Fields was lead scientist at Eastman Kodak for Specialty Toner programs, developing and manufacturing toner and developers for other printer companies and the aftermarket. Approximately 12 of his products have been commercialized. Robert’s work included extensive interaction with customer to determine their required performance, specifications, joint testing, acceptance testing, and commercialization needs. Robert was responsible for toner pilot lab operations and engineering. His goals also included wide-ranging new product and process engineering development including toner surface treatment, advancing processes to make smaller narrow size distribution conventional toners, and the development of chemically prepared toners. Earlier, Robert was a Senior Engineer at Heidelberg Digital where he was responsible for Materials development and manufacturing scale-up for Heidelberg / Kodak Digimaster printer product family. This included material formulation, printer testing for EP performance and image quality, reliability testing, manufacturing scale-up. When introduced this printer set a new industry standard for superior image quality and high speed monochrome printing. Prior to his work at Heidelberg Robert held senior engineering positions at Kodak Research Labs and Kodak Ltd in the UK. Dr. Fields holds 38 US patents and graduated from Bucknell University with a B.S. in Chemical Engineering and from Cornell University with a Ph.D. in Chemical Engineering with minors in Polymer Science and Organic Chemistry. John Gillen is a hands-on manager, team leader and design engineer specializing in the development of microprocessor-controlled products for a wide range of industries and applications. John is adept at delivering innovative solutions to challenging technical problems through the application of his analytical skills, extensive product knowledge base, and keen understanding of the tradeoffs between multiple engineering disciplines and manufacturability requirements. John successfully works directly with customers, coordinates outside services, and pursues technology acquisitions to meet corporate goals. Since 2008 John has worked, as a captive contractor, in support of XACTIV providing hardware, firmware and software development support for advanced precision coating and deposition systems using electrophotographic and ink jet technologies. John also developed embedded firmware for HP printers to support check printing and encryption, C# APIs for server based encryption services and key management, and C# .net tools for converting banking system data to company data formats. He also developed numerous products including an electronic controller for a 4000 dpi UV based laser plate maker, a digital ultraviolet laser diode driver, and the complete hardware, firmware and C++ API for a 8051 based Check21 check scanner with MICR reader, optical line scan camera, USB interface. Prior to his work at XACTIV he contributed as Engineering Manager, Senior Engineer, or Director of Engineer at an impressive list of technology-enabled companies including Output Technology, Thermoguard, American Sign and Indicator, Source Technologies, Eldec, and Bell Telephone Labs. John holds a BSEE from Washington State University and an MS Engineering from the University of California, Berkley. Dr. Dan Hays joined Xerox Corporation in 1968 following a postdoctoral position at the University of Pittsburgh. His research and technology contributions in electrophotography have spanned the areas of contact electrification, charged particle adhesion, and xerographic development system design. These research efforts have influenced development system designs in a number of Xerox printer products including DocuTech and iGen3. Dr. Hays received the Xerox President’s Award twice and the IS&T Chester Carlson Award. He was appointed to Fellowship in IS&T in 1996 and received the American Institute of Physics 1997-98 Prize for Industrial Applications of Physics. In 1999, he became a Fellow of the American Physical Society and received the Gutenberg Prize from the Society for Information Display. In support of IS&T Annual Conferences, he presented State-of-the-Art seminars on Color Electrostatic Marking. Dan has published 57 scientific papers and holds 79 U.S. Patents. His scientific contributions have been recognized worldwide at international conferences on electrostatics, adhesion and non-impact printing. Dr. Hays retired from Xerox in 2006 as a Senior Research Fellow and subsequently joined TPR. Robert Holmes was Principle Engineer at Milton Roy, a division of Bausch & Lomb, from 1974 through 1990 where he led the design of a control system for CNC machining centers, developed advanced electro-optical position sensors, and engineered a series of influential spectrophotometer instrument families including the Spectronic 3000, 301, 401, 501, and 601 systems. Robert later joined Transmation as Senior Development Engineer, Accuracy Microsensors Inc as Principle Engineer, Quest Technologies as Senior Electronics Engineer, and later XEROX Corporation where he designed and implemented the control systems for a host of advanced products and subsystems. Robert’s considerable experience includes ARM-7, ARM CORTEX, 80V51, PIC, 80C186, and 68HC11 microprocessor implementations and he at expert level in the C, Assembly, and Visual Basic programming environments. His expertise includes analog design, high-resolution A/D linear and switch-mode power supply optimization, and embedded microprocessor, sensor and transducer interfaces, compensation and linearization microstepping and servo-motor architectures. Robert graduated from Purdue University with a B.S. degree in Electrical Engineering. David H. Hudson has over 40 years of intensive and diverse mechanical design/engineering experience. He is a recognized and published authority with over 30 years of work devoted to Finite Element Modeling and Analysis. Mr. Hudson’s experience includes engineering positions at several major corporations practicing FEA and consulting on numerical simulations and behavior of structures and systems. He has deep experience with NASTRAN, FEMAP, and other industry-standard tools. Linear and Non-Linear Statics, Dynamics, and Vibration (normal modes and random/frequency response) problems are his modeling and analytical specialties. He has spoken at several International Finite Element Conferences and has published articles in many magazines. He holds 5 patents. Mr. Hudson holds a BS in Mechanical Engineering, and earned a MS in Engineering Management from Kennedy-Western University. Dr. Louis Isganitis began his career at Xerox Corporation in 1981 after earning a PhD in Physical Chemistry at the University of Rochester. Over a 35 year career at Xerox he worked on the design, development, and manufacturing of imaging materials for various non-impact printing systems including those utilizing xerography (with both conventional and chemical toners, Liquid Ink Development, and Thermal Ink Jet (with both dye and pigment based inks). An additional focus has been in the design, development, and sourcing of raw materials used in these various imaging materials. He is a co-inventor on 17 US patents. Dr. C. Wayne Jaeger completed postdoctoral work at Georgia Tech University with Professor H. O. House, and then joined Crompton & Knowles Corporation for seven years as a dye research chemist synthesizing dyes for the sublimation printing of textiles and other substrates. He also did work in fluorescent whitening agents and in the preparation of dyestuff dispersions. In 1980, he moved to Tektronix in their then-fledgling development of color ink-jet printing. He developed the phase change inks (also known as solid ink) formulations and color set used in the successful line of Tektronix Phaser Color Solid Ink Jet Printers. Dr. Jaeger was honored with the Tektronix founder’s Excellence in Engineering Award in 1995. Xerox purchased the Tektronix Color Printing Division January 2000, and he retired from Xerox in 2006 as a Xerox Research Fellow. He was appointed to Fellowship in IS&T in 1996 and received the Johann Gutenberg Prize from the Society for Information Display in 1998. Dr. Jaeger has presented colorant tutorials from 1998 to 2003, as well as publishing numerous scientific papers. He holds 27 U.S. Patents. 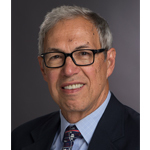 Dr.Bruce Kahn specializes in the multidisciplinary fields of printed electronics, organic electronics, nanotechnology, smart packaging, and Radio Frequency Identification (RFID). In addition to helping companies and governmental organizations, he writes books, articles and reports, and conducts training sessions and workshops. Dr. Kahn was a Professor at the Rochester Institute of Technology, where he started the Printable Electronics research program. Dr. Kahn’s research group pursued materials for the fabrication of electronic devices. His work produced (both small and production scale) and characterized antennas for Radio Frequency Identification (RFID) tags, and assessed the process capabilities of a number of different printing techniques used for patterning conductive features. Dr. Kahn has developed and applied technology for printing chemical sensors. Dr. Kahn is currently investigating other techniques for patterning functional organic materials, such as liquid dispensing, and has created working organic transistors using this technique. Dr. Kahn has a Ph.D. in Chemistry from the University of Nebraska, and a S. B. in Chemistry from the University of Chicago. 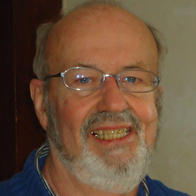 He is the author of over 75 publications, including several recently published books. Joe LaBarca worked at Eastman Kodak Company for over 34 years. He graduated from Bucknell University with a Bachelor’s of Science Degree in Chemical Engineering and spent a large part of his career at Kodak in the research, development, and commercialization processes for Kodak Ektacolor papers and processing chemistry. His experience includes extensive involvement in the image stability of color papers beginning in the early 1980s and continuing for the remainder of his career at Kodak. In 1997, Joe was appointed Senior Research Lab Manager, directing a laboratory with systems responsibility for professional color negative films and papers. In 2004 Joe assumed the role of Technical Director, Image Permanence with responsibilities that included silver halide, inkjet, thermal dye transfer, and electrophotographic imaging systems. In 2008, he assumed the additional responsibilities of retail imaging systems quality. Joe has been a member of IS&T for over 25 years and became a member of the American Institute for Conservation in 2008. Joseph LaBarca formed JEL Imaging Services in 2010 and Pixel Preservation International in early 2011, to provide consulting services to the imaging industry on image preservation, ISO standards, and image quality. In mid-2011 he was appointed to the position of Visiting Scholar in the College of Imaging Arts and Sciences at Rochester Institute of Technology. Joe is also a member of the ISO Technical Committee on Photography and is directly involved in the ANSI/IT-9 and ISO Working Group 5 Committees on color print stability and physical properties. Donald Lehmbeck has extremely broad experience in all aspects of measuring, controlling, analyzing, and optimizing imaging quality, especially in digital xerographic printing; reprographic, and scanning or digital capture systems. He was both Manager of Imaging Sciences Engineering and Technology (ISE&T) and an Engineering Fellow at Xerox. He has several patents and publications including three book chapters on detailed aspects of imaging quality. Specialties include automatic tone reproduction, half-tones, banding reduction, MTF enhancement, principles for micro-densitometry and scanning, customer research, electrophotography and information storing capacity of images. Don has a BS in Photographic Science from RIT, an MS in Optics from The University of Rochester, and is currently an Adjunct Faculty in modern sensitometry and image quality at RIT. Dr. Rick Lux has 29 years’ experience in research and development of digital printing systems. At Xerox Corporation he was Vice President leading its marking and imaging competency center. Rick’s expertise is in color marking systems, and he is an expert at design and optimization for run cost, image quality, and reliability. He has extensive experience integrating electro photographic materials such as toners, photoreceptors, and fuser materials. His systems engineering expertise allows him to successfully drive products to market and solve the most difficult technical challenges. He is trained in Design for Lean Six Sigma. Rick was awarded his doctorate in Mechanical and Aerospace Sciences from The University of Rochester. He has 5 patents. He is a member of the IS&T and has published 5 papers since 2004. Dr. Trevor Martin has almost 25 years’ experience in the formulation, design and development of electro photographic dry toners, developers and photoconductors. Dr. Martin has formulated toners for both extrusion/mechanical and direct polymerization processes as well as encapsulated toners. He has written and presented a number of papers and given seminars in additive chemistry and holds 21 patents in inks, photoconductors, toners, and additive formulations. Dennis Massa is a scientist, educator, inventor and consultant in the fields of polymer science and engineering and advanced materials. Following a career in the Kodak Research Laboratories, he has been a member of the adjunct faculties at the University of Rochester and, currently, Rochester Institute of Technology in the Department of Chemical Engineering and the School of Chemistry and Materials Science. Dr. Massa has 27 U.S. Patents and has published 20 scientific papers in the areas of high-performance polymers, nanocomposites, optical films, printing materials and media. He earned his PhD in Physical Chemistry at the University of Wisconsin and was a Postdoctoral Fellow at the University of California, San Diego. Dr. Stephen Pond has worked for over 27 years in research and development specializing in inkjet printing technology and print head engineering and manufacturing. He has served as a research laboratory manager and as chief engineer for inkjet programs at Xerox. His expertise in the field of digital printers includes all forms of inkjet, thermal printing, magnetography, and laser xerography. Dr. Pond holds 43 US patents and has served as an editor and is the key contributor to the book titled, Inkjet Technology and Product Development Strategies. Jerome May is a 33 year digital imaging veteran. As a physicist at Xerox, his career spanned research, system engineering, intellectual property management, product development and engineering, and manufacturing environments. He has contributed to commercializing a variety of novel color and monochrome marking technologies. He has collaborated with product development teams in the Far East and Europe. Jerry trained at the University of Chicago prior to joining Xerox. Mr. May was one of the first scientists trained in Six Sigma Black Belt methodologies, and was most recently Manager of System Reliability and Methodologies. He holds 10 US and international patents. He is past president of the Rochester Chapter of IS&T, The Society for Imaging Science and Technology, and is a charter member of International Society of Six Sigma Professionals. Dr. Robert Mehalso has over 25 years of experience in research, engineering, manufacturing and marketing. His emphasis is on materials and fabrication, process development, and is internationally recognized for his micro engineering and micro manufacturing implementations. In the course of his professional activities, he has managed or consulted on design, assembly, manufacturing systems and facility construction for inkjet print heads. Dr. Mehalso has been a member of the technical staff at several research centers and has received a number of process patents. Dr. William Mey has more than 26 years’ experience in electrophotography, electrography, laser thermal, and ink jet printing. This included a focus in the photophysics of photoreceptors, design and testing of corona chargers, and subsystem interactions in printer systems. In addition, he has hands-on experience with the fabrication and magnetization of multipole high-energy permanent magnets for magnetic development rollers. Dr. Mey holds 48 patents and was appointed a Distinguished Inventor by Kodak Research Scientific Council in 1992. Dr. Don Seanor has held a number of scientific and management positions focused on elastomer development and materials engineering for the digital printer industry. He has received over 20 patents on electro-photographic materials and devices. He has published more than 30 papers and edited two books on photoconducting and electrical properties of polymers. Dr. Seanor’s extensive experience includes silicon fuser roll development, VitonÒ fuser roll development and manufacturing process development, novel photocopier & intermediate transfer belt seaming processes, rubber fuser roll manufacturing; novel photoreceptor and intermediate transfer belt seaming processes, charging and transfer devices, high volume roll fuser systems and the design and development of electrostatic brush cleaners. David Shogren has over 35 years’ experience in the design and development of electro-photographic printing systems. He has extensive experience in the design of optical systems and mechanical drive systems. He has specific expertise in the analysis of vibration, acoustic noise reduction, gear stress, gear transmission errors and drive system efficiency for printer/copier applications. Mr. Shogren is a licensed professional engineer and holds 21 patents relating to optical systems and mechanical drive systems. Richard E. Smith has over forty years of experience in the research, conceptual development and production design of copier and printer products and related systems. 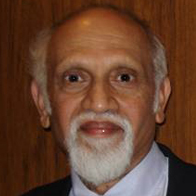 During his thirty-six year career at Xerox he held various positions in the areas of research, engineering and manufacturing. Mr. Smith is the holder of fifty U.S. Patents in the areas of paper handling (27), marking process elements (20) and automotive engine related devices (3). His areas of expertise include systems architecture development, marking process development and integration as well as paper handling and paper feeding systems development. He was a principal contributor and developer of the first fully automatic re-circulating document feeder technology that is currently used on Xerox high speed multi-function printers today. Dr. Huoy-Jen Yuh has 30 years of experience in research and development of digital printing technologies. At Xerox Corporation she developed extensive expertise in fundamental materials studies, device development (formulation and fabrication), systems integration, and photoreceptor production support. Huoy-Jen led development teams successfully delivering new products, productivity, cost reduction, and benchmarking on consumables and key components for xerographic printers. She is a certificated six-sigma black belt and was a conference chair for the NIP25 international conference. Huoy-Jen was awarded her doctorate degree in Physical Chemistry from the University of Chicago. She has 69 US patents and has authored 18 publications. Bob Zeman was an engineer and researcher at the Eastman Kodak Company for 38 years, most recently as a Senior Principal Scientist within the Kodak Research Lab’s Novel Materials Group. In this role he led a team studying novel toner material performance in addition to applied research in image system modeling, xerographic and inkjet digital pictorial hardcopy, color proofing, medical imaging, and micro imaging. As a member of Kodak’s Inkjet Systems Science & Technology Center, Bob studied the viscoelastic jetting behavior of inks for potential incorporation into high speed printing presses. He designed and built a Schlieren optical system to evaluate jetting performance and developed a system to evaluate noise in jetting systems. He also generated a JND-calibrated Text Ruler for visual text evaluations and was assigned half-time to provide experimental consulting for NexPress where he devised a low frequency visual noise metric applicable to a wide range of printing technologies. Bob holds 25 US patents in the areas of Xerography and ink-jet printing technologies and graduated from St. Peter’s College with a BS in Physics and from Purdue University with an MS in Physics.